The City of San Francisco and the PlaygroundA TOUR announce that historic Harding Park has become part of the TPC Network and will be operated by PlaygroundA TOUR Golf Course Properties for no management fee. 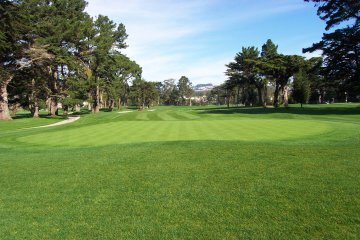 While not specifically included in the deal, the PlaygroundA TOUR pledged to donate any incentive bonuses received for successfully operating the historic course to The First Tee of San Francisco, a chapter of The First Tee (www.thefirsttee.org) that is based at the Fleming 9 course, as well as to other local charities. The First Tee is a non-profit initiative of the World Golf Foundation dedicated to impacting the lives of young people by providing learning facilities and educational programs that promote character development and life-enhancing values through the game of golf.